For a couple of years now, US Soccer has been trying to compete with football’s superpowers. Despite dominating most other individual and team sports, the world game has eluded the nation. The domestic MLS hasn’t established itself as far as it would have liked to, both in terms of a footballing context, and in competing with other domestic American leagues; nor has the attraction of signing the likes of David Beckham, Kaka and Steven Gerrard left a mark. US Soccer’s rise though, may arrive in the form of 19-year-old Pennsylvania born – Christian Pulisic, who unlike any American before, may go on to compete with the world’s best in years to come. 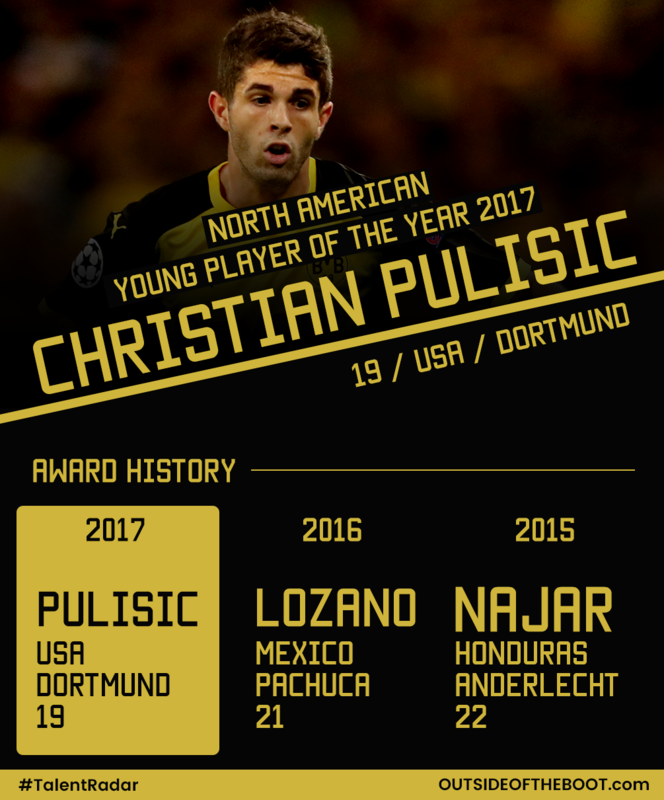 Having made his debut the previous campaign, Pulisic’s break-through season came in 2016-17, with supporters seeing him develop from raw talent to a well-rounded player in 2017. He would play a crucial role towards the penultimate period of the Bundesliga season, as Borussia Dortmund eventually secured Champions League qualification. Needing a win in the final game of the season, Pulisic would come on as a second half-substitute before drawing a foul one minute from time to allow Pierre-Emerick Aubameyang to score the winning penalty in a 4-3 win over Werder Bremen. This scenario would repeat itself one week later in the DFB Pokal final against EIntracht Frankfurt as Pulisic was called from the bench in the second half once again, earning a penalty twenty minutes later, with Aubameyang again scoring the winner in a 2-1 win and securing Dortmund’s first major trophy since 2012. His dream year continued with the start of the 2017-18 season, as Pulisic has established himself as one of Borussia Dortmund’s key first team players, transitioning into a more wider role under Peter Bosz’ tutelage. “As an exciting prospect that can play in a multitude of different attacking positions, be it on either wing or just behind the striker as a number ten, Pulisic is equally as effective off-the-ball as he is with it. Intelligent movement into pockets of space allow him to be a credible passing option for team-mates when his side are in possession, edging towards the final third.